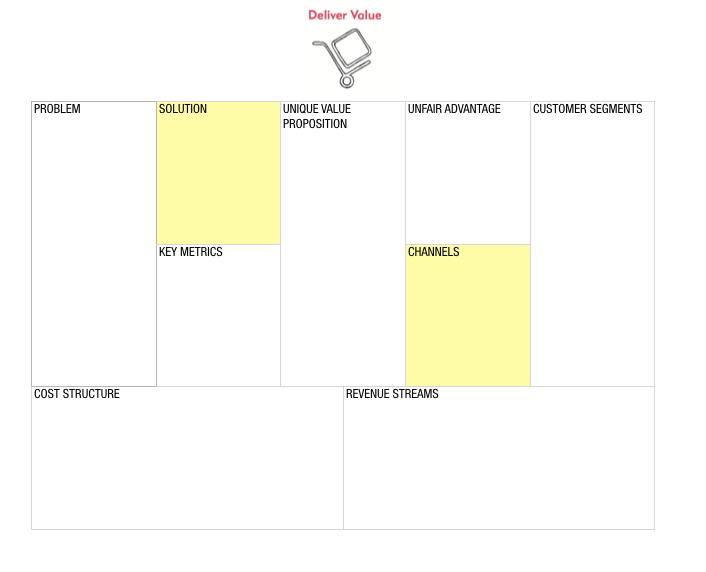 A business model describes how you create, deliver, and capture value back from your customers. No matter which format you use, make sure your business model story communicates these 3 core jobs: value creation, value delivery, and value capture. You deliver value to your customers through your solution -- which customers find through your channels. The cost of value delivery is captured on your cost structure box. When taking a lean approach, the emphasis is on racing to deliver customer value because demonstrating value creation is the riskiest assumption at the outset of any project. If you don't create value for your customers, you won't be able to capture any value back (aka get paid). You capture value back from your customers through your revenue streams. For business modeling purposes, it is important to list both your sources of revenue and specific pricing. If you aren't sure about specific pricing yet, ballparks are okay. The mistake a lot of entrepreneurs make is pricing their products against their solutions by slapping a small margin over what it costs them to deliver value. This is a mistake because your customers don't care about your costs, they care about the value they capture from your product. By anchoring your pricing model against customer value creation, you not only make it easier for customers to buy from you, but you often are also able to charge more for your products with a value-based versus cost-based approach. How long does it take to create a business model? There are 2 parts to creating a business model: business model design, and business model development. 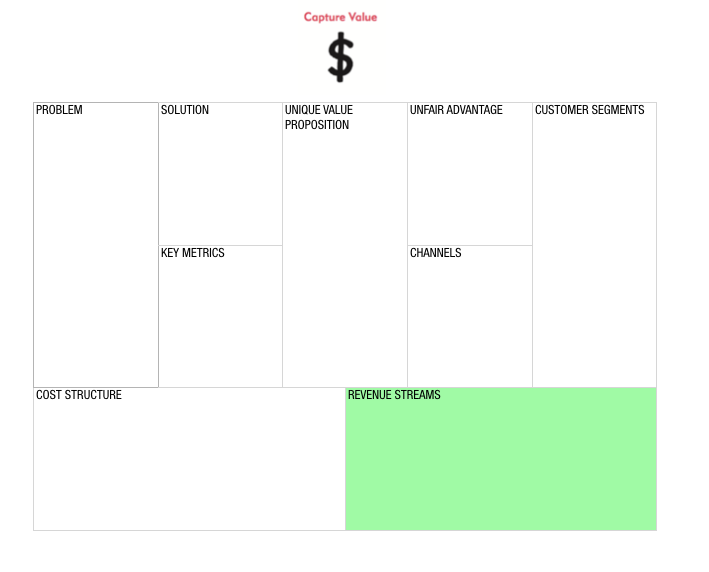 You can sketch your initial business model in 20-30 mins. Unlike a traditional business plan, the goal isn't seeking perfection, but a snapshot of your current understanding. You then identify and prioritize your riskiest assumptions and formulate a validation strategy which you then test with small and fast additive experiments. The learning generated from the experiments guides your understanding of risks and helps continually refine your business model from your initial sketch to a repeatable and scalable business model. This is the business model development process. How do you craft a compelling Unique Value Proposition? 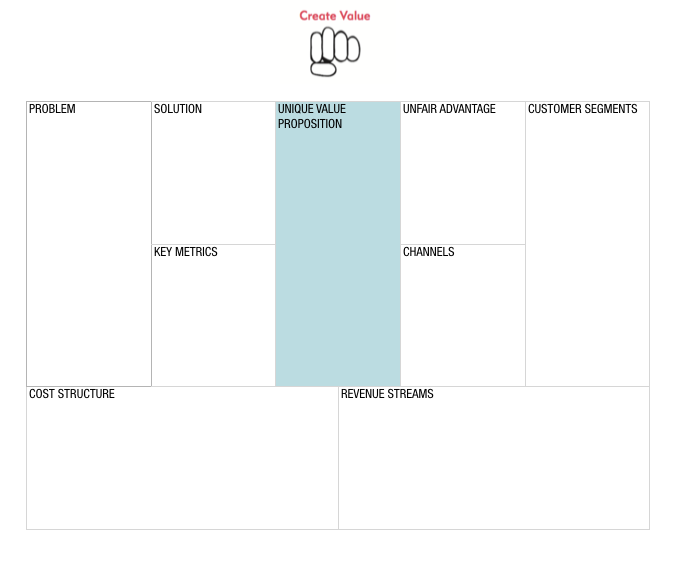 Lean Canvas is a 1-page business planning tool that gets your idea across.